Metal Polish Poisoning is the accidental or intentional intake of metal polish products or solutions. What is Metal Polish Poisoning? What are the Causes of Metal Polish Poisoning? Metal polish may contain many toxic chemicals depending on their use (type of metal being polished). These include ammonia, oxalic/sulfuric/phosphoric acid, denatured alcohol, silica, thiourea, petroleum distillates and naphtha, etc. What are the Signs and Symptoms of Metal Polish Poisoning? How is First Aid administered for Metal Polish Poisoning? Who should administer First Aid for Metal Polish Poisoning? 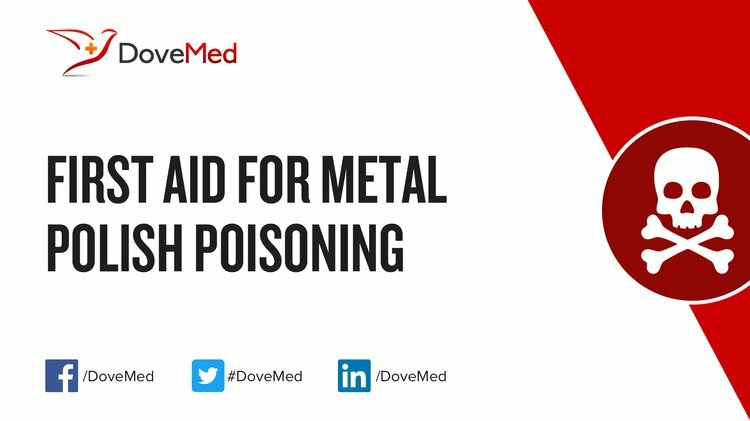 First aid for Metal Polish Poisoning is administered by healthcare professionals. What is the Prognosis of Metal Polish Poisoning? How can Metal Polish Poisoning be Prevented? Garlich, F. M., Alsop, J. A., Anderson, D. L., Geller, R. J., Kalugdan, T. T., Roberts, D. J., & Thomas, L. C. (2012). Poisoning and suicide by cyanide jewelry cleaner in the US Hmong community: a case series. Clinical toxicology, 50(2), 136-140. Behera, C., Garudadhri, G. V., Pradhan, M., Khurana, N., & Dikshit, P. C. (2012). Fatal nitrobenzene poisoning: Some case reports and medicolegal aspects. GHS05, G. G. SAFETY DATA SHEET-CLEANER. Signal, 11, R37-41. Suleiman, A., & Svendsen, K. (2014). Are safety data sheets for cleaning products used in Norway a factor contributing to the risk of workers exposure to chemicals?. International journal of occupational medicine and environmental health, 27(5), 840-853. Number, P. Klean Strip Brush Cleaner. Jethava, D., Gupta, P., Kothari, S., Rijhwani, P., & Kumar, A. (2014). Acute cyanide Intoxication: A rare case of survival. Indian journal of anaesthesia, 58(3), 312. SHEET, P. D. (2015). COMPLETE™ 2.1 VOC Primer Surfacer. Coentrão, L., & Moura, D. (2011). Acute cyanide poisoning among jewelry and textile industry workers. The American journal of emergency medicine, 29(1), 78-81.